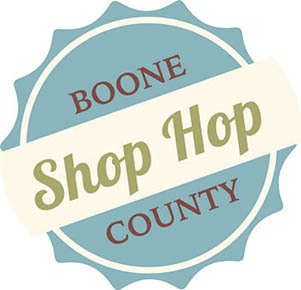 If you live in or near the Boone County area, local businesses want you to come see what they have in store during the Boone County Shop Hop, July 10-19. Community organizations in each town — Albion, Cedar Rapids, Petersburg, and St. Edward — are even providing an incentive for you to come and see them. Shoppers who visit the most county businesses during this 10-day promotion are eligible for a valuable prize drawing at the end. More than 50 businesses across the county are participating in the event. Designed as a passport program, shoppers are invited to pick up a “passport booklet” at any participating businesses. The booklet features full details about how the program works, how to enter to win prizes, and lists every participating business. How it works: Shoppers pick up a passport booklet at any participating business (one per person). Each participating business where the shopper stops will stamp their booklet under the corresponding business name. Within the 10-day event, people are encouraged to shop from town to town collecting stamps from participating businesses. Prizes are awarded for every booklet turned in, containing at least one stamp. If the individual has at least one stamp per community, they will receive a Boone County Goodie Bag. Additional prizes will be awarded for the highest number of stamps. 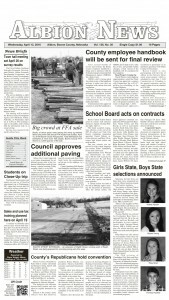 • Second Prize – $50 in Boone County Bucks. Shoppers who visit the most businesses during the time period will be included in the prize drawing. Shoppers must be at least 18 years old to participate.